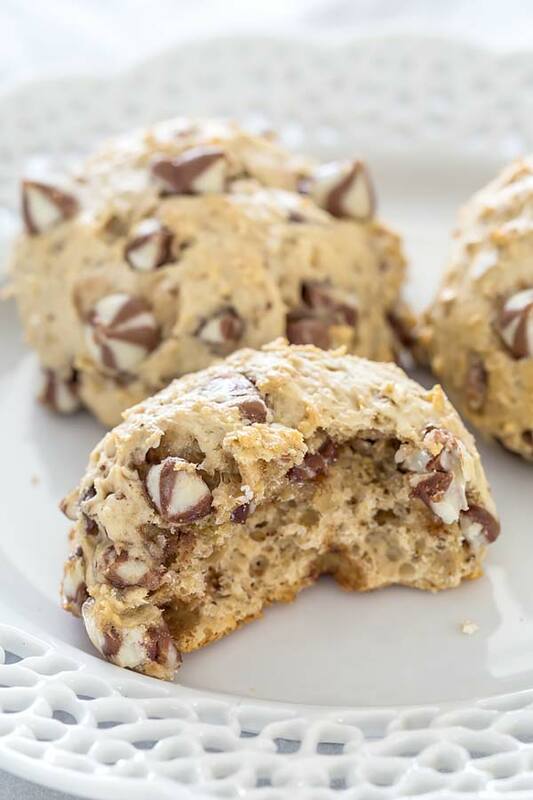 Cookies have to be the easiest dessert that you can make at home and I love them. They can be done in no time, using an almost infinite combination of ingredients that will please even the stubborn ones. I know what I am talking about because for a long time I was in denial, telling myself that I don’t really like this weird combination of chocolate and flour, but that moment is long gone and now, not a week goes by without making some of the classic recipes or struggling to create new ones, providing endless hours of entertainment for my wife in the process. Anyway, these little guys came out really good actually. It was one of those things that you bake and don’t come out the way you want them. When I throw them in the oven I was expecting to flatten out like normal cookies do, but they didn’t, at least not that much anyway. They were giant and I was about to scratch them off as another kitchen failure (got plenty) but then my wife bit into one ten minutes later ‘cos shes a real fan and her face simply transformed. Don’t think Transformers though, more like she was one step closer to understanding the universe or a deep religious experience. Pretty funny though and by the time I was able to react in any way, she stuffed her face with two more giving her seal of approval. Funny things happen in our kitchen sometimes and this was one of those moments. Still, back to my cookies, I suspect they didn’t flatten out because I used less butter than normal but there is also the possibility that I had too much flour, this is your choice if you want to experiment. As far as I am concerned (and wife), I am not going to change a thing… ever! In the bowl of your mixer combine the egg, banana, butter, sugar, vanilla, and mix on medium speed until well combined. I usually don't like crunchy granulated sugar in my cookies so I beat this mixture until the sugar is dissolved completely. Add the oats, flour, baking soda, salt, and mix on low speed until just combined, about 1 minute, then add the chocolate chips and mix for another 30 seconds or so. 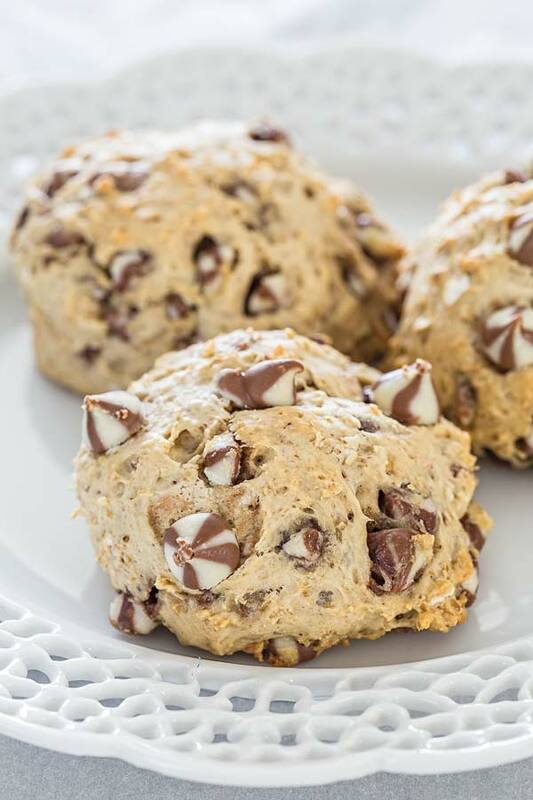 Using a medium cookie scoop, form approximately 12 equal-sized mounds of dough and place them on a cookie sheet lined up with parchment paper. Preheat oven to 350° F / 175° C and bake them for 11 to 13 minutes. Do not overcook, though they seem very soft when taken out of the oven, cookies will firm up as they cool.